As a child growing up in the 70's this was one of my favorite show to watch with my father. 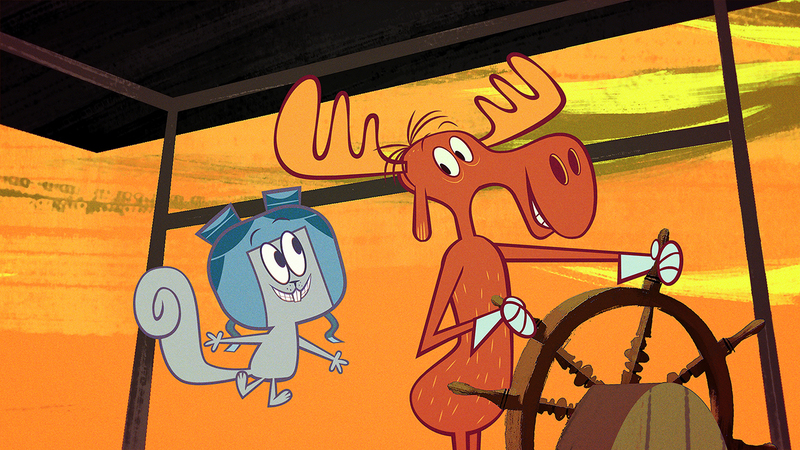 Rocky and Bullwinkle was something that was always taking me on adventures, not to mention the little bits of learning thrown in. I am super excited to see what Amazon Prime Video will do with it. I hope they keep it true to the original for the older folks with a little updated stuff for the younger crowd. The world-famous talking moose and flying squirrel are back in The Adventures of Rocky and Bullwinkle, a serialized comedy about two goofball best friends who routinely find themselves thrust into harrowing situations but end up saving the day time and again. 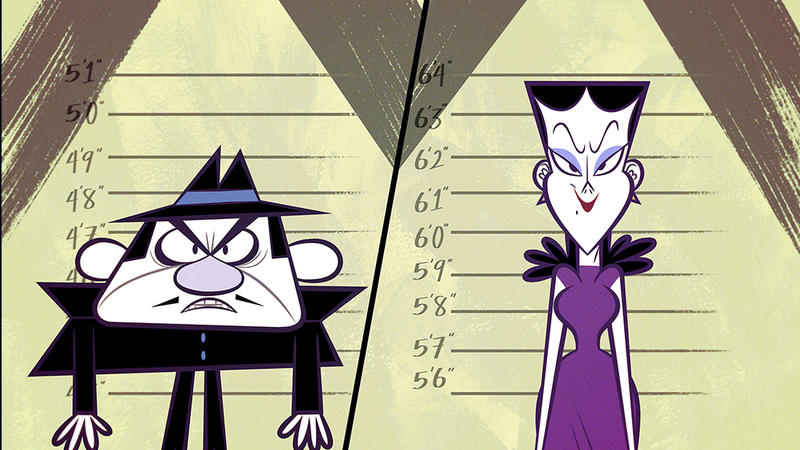 As Rocky and Bullwinkle's innocent and silly ambitions to become rock stars or find lost treasure end up dovetailing with Fearless Leader's sinister plans to take over the world, our heroes are set on a collision course with his notorious super spies Boris Badenov and Natasha Fatale. 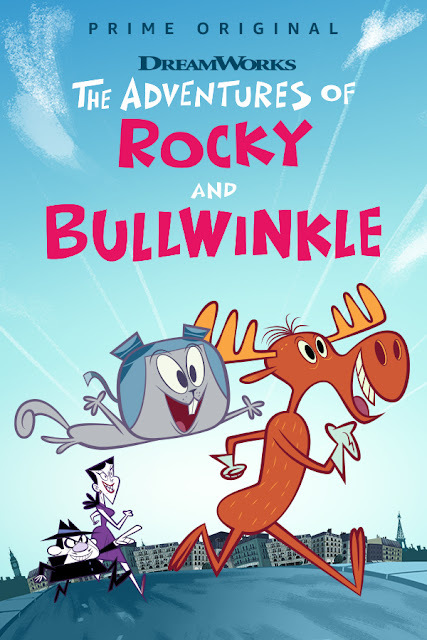 The series is executive produced by Scott Fellows (The Fairly OddParents, Big Time Rush) and Tiffany Ward, daughter of the original series producer Jay Ward, and features Tara Strong (The Powerpuff Girls, Teen Titans Go!) 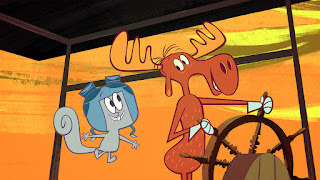 as the voice of Rocket J. Squirrel, Brad Norman (America’s Most Haunted) as Bullwinkle J. Moose, Ben Diskin (Hey Arnold!) 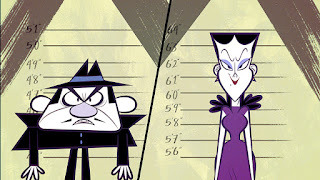 as Boris Badenov, Rachel Butera (Teenage Mutant Ninja Turtles) as Natasha Fatale, Piotr Michael (Impress Me, MADtv) as Fearless Leader and Daran Norris (The Fairly OddParents) as Narrator. Later in 2018, Prime Video will premiere Kung Fu Panda: The Paws of Destiny, an epic adventure series from Emmy Award-winning executive producers Mitch Watson (All Hail King Julien) and Elliott Owen (All Hail King Julien), and Lane Lueras (The Adventures of Puss in Boots). When four panda kids stumble upon a mystical cave beneath Panda Village, accidentally absorbing the chi of ancient and powerful kung fu warriors known as the Four Constellations, they must realize a destiny to save the world from an evil force. Meanwhile, Po finds himself faced with his biggest challenge yet -- teaching this ragtag band of kids how to wield their newfound powers. Disclosure: MarksvilleandMe received one or more of the products mentioned above as part of a promotion with DREAMWORKS and Team Click. Regardless, MarksvilleandMe only recommends products or services we use personally and believe will be good for our readers. Some of the links in the article may be “affiliate links.” This means if you click on the link and purchase the item, I will receive compensation. If you would like MarksvilleandMe to review or promote a product or service please contact us at marksvilleandme@gmail.com.